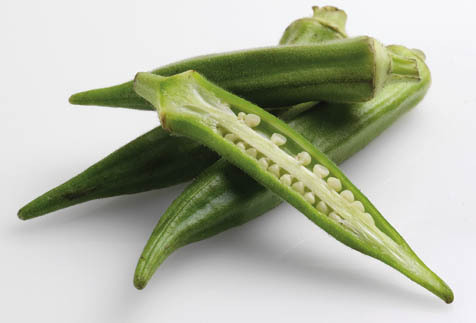 In my endless effort to make you like things you think you don’t, I bring you okra. This tasty and gorgeously geometric vegetable that you can currently get very fresh at the Farmers Market is actually a member of the hibiscus family. Alas, most people think of the stickiness it emits, but I say, when life gives you gooeyness, make something that needs binding (that’s why it’s so good in gumbo). If you pan saute it in olive oil and onion and then add chicken stock, you will get one simple, simply delicious side. Don’t be afraid.